Microsoft's bold claims about Edge turn out to be true. If you want to watch true 1080p content on Netflix over your PC, you need to use Microsoft’s Edge browser. On Wednesday, Microsoft claimed that its Edge browser was the only one of the big four browsers—which also includes Chrome, Firefox, and Opera—to offer 1080p resolution while playing Netflix content. 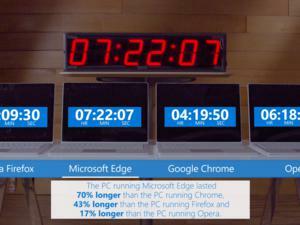 A quick test of all four browsers by PCWorld proved this claim to be true, with the other three browsers capped at 720p. 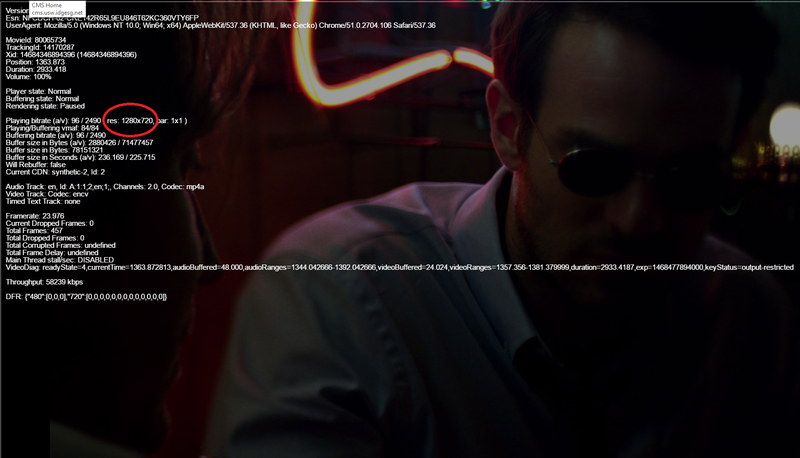 Currently, Opera runs Netflix at a maximum resolution of 720p. Why this matters: Microsoft’s been busy trying to rehabilitate the reputation of Edge, which suffered after the browser initially offered slower performance than its competitors, while also lacking the plugins and extensions that other browsers, particularly Firefox, have offered for years. Performance in Edge has since improved, and it has began offering a few plugins for public use. These are important steps for Microsoft if Edge is to avoid the fate of Internet Explorer, which became known as the browser users loved to hate. 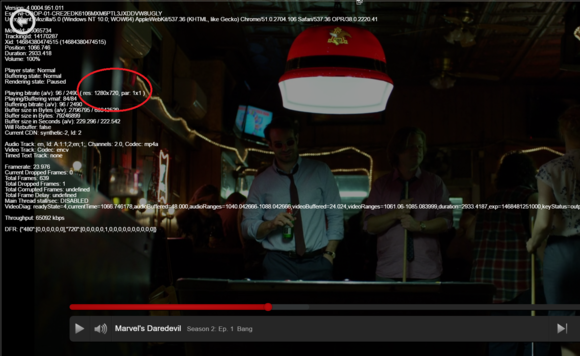 A closeup of the Netflix menu running on Microsoft Edge. Note the higher 1920x1080 resolution. The idea, then, has been to find niches where Edge shines. In June, Microsoft slammed Google Chrome’s battery life, arguing that users on-the-go, and away from a power outlet, would be better served by Edge's superior power efficiency. Now, Microsoft has publicized a Netflix support document, showing Netflix streams at 1080p on Internet Explorer and Edge, versus 720p on the other browsers. Using the “secret Netflix menus” unearthed by Reddit users (Ctrl+Alt+Shift+D) to display the resolution and bitrate, we confirmed that Microsoft’s claims are indeed true: You can receive a higher bitrate and resolution when watching Netflix using Edge than you can with, say, Chrome. Netflix on Google Chrome. Note that it streams in 720p, not 1080. 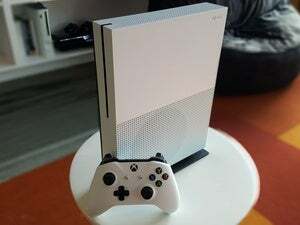 In a blog post, Microsoft claimed Microsoft Edge was built to take advantage of platform features in Windows 10, including the PlayReady Content Protection and the media engine’s Protected Media Path. The company said it is working with the Open Media Alliance to develop next-generation media formats, codecs, and other technologies for UltraHD video, and with chipset companies to develop Enhanced Content Protection that moves the protected media path into peripheral hardware for an even higher level of security, and one that could be used to protect 4K media. That’s in the future, though. Currently there are many TVs and devices that support 4K Netflix streaming—and the PC isn’t one of them. Still, if you’re the type of person who steals 20 minutes to watch part of an episode at lunch, and you demand the best quality possible, make sure you load up Edge. This story has been updated on July 14 to note that the Netflix app for Windows 10 also renders Netflix in 1080p.